Yes, that decision to put a pool in your yard, whether it is a pool, pool house or both, Aquatic Pools Ltd can help with"your design", build and be accomplished within just 6 weeks – that’s from your first phone call to your first swim! It’s the planning and forethought that take the most time – from months to even years! 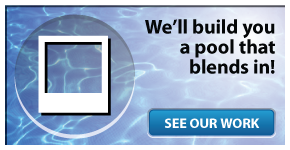 When you reach the decision that a pool is for you, contact Aquatic Pools Ltd. For nearly four decades, Aquatic Pools Ltd experts have been ready to dig in when you are; in the Lower Mainland/Fraser Valley from West Vancouver to Abbotsford. Aquatic Pools Ltd takes your dream of a pool and makes it reality. With 38 years of experience we have a long list of satisfied customers and our quality pool service continues to this day. 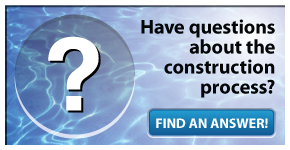 At Aquatic Pools Ltd, our trained professionals have years of experience installing pools, replacing liners, pool renovations, house construction and installing spas. From consultation to installation, our experts will guide you through the process, ensuring you have the pool or spa of your dreams. Ready for fun and relaxation with the family? Get your pool from us. Looking for a convenient way to exercise that isn’t hard on the joints? We’ll put in a lap pool! Always longed to enhance your view? Indoor or outdoor, our pool will do it! • We also build custom homes. See Mandala Homes.